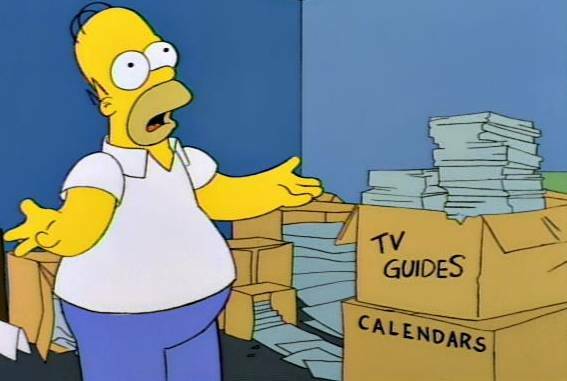 You can recycle your old calendars by using them again! Here is the Java source that generated these values. Basically it uses java.util.Calendar to determine if two years are equivalent by looking at the first and last days of the year. If two years begin with the same day of the week, and end with the same day of the week, I assume they are equivalent. I got the idea for this while watching the Simpsons. Sure, it's not 1985 now, but who knows what tomorrow will bring? And then I thought, "well wait a minute, those calendars might actually work again some day."